Setting up a custom tracking domain is one of the easiest ways to improve your email deliverability. It allows your domain to establish its own reputation with email receivers, not clouded by other JangoSMTP users. By setting up your own, you can isolate yourself from the activities of our other clients and ensure higher deliverability. Additionally, your emails will be further branded around your own organization, not the email service provider. Secondly, an entry needs to made in your DNS (Domain Name Server) system. You can do this yourself if you have access, or you may need to contact the technical person who manages your domain. You need to modify your DNS settings such that you create a CNAME record for your chosen domain to alias to jngo.net. 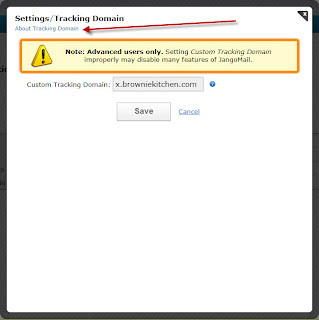 Detailed instructions are also on the Settings/Tracking Domain page under About Tracking Domain. 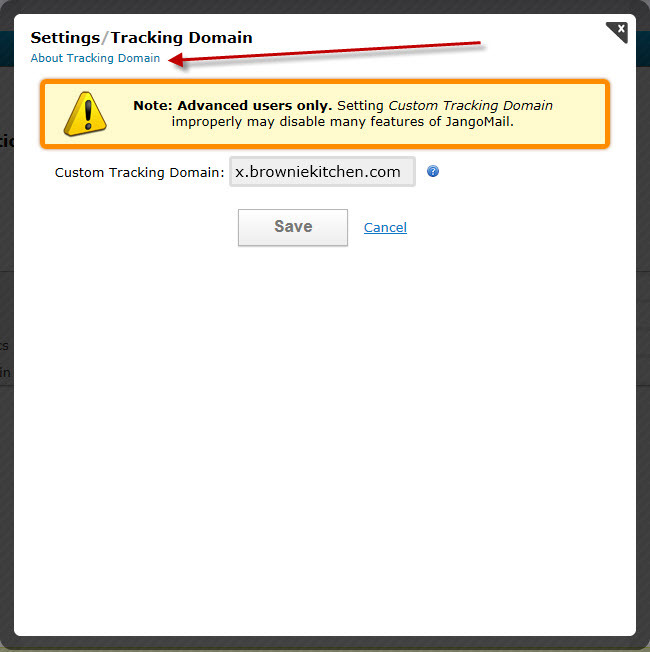 Lastly, enter your tracking domain in JangoSMTP by going to Settings --> Tracking --> Tracking Domain.